The hops profile calmed down a little bit, which was good because I wasn’t crazy about it when it was just wort. I think once the beer is given some time to condition in the bottle, it should turn out pretty well. Hopefully things will all settle together and add some complexities and body to the brew. 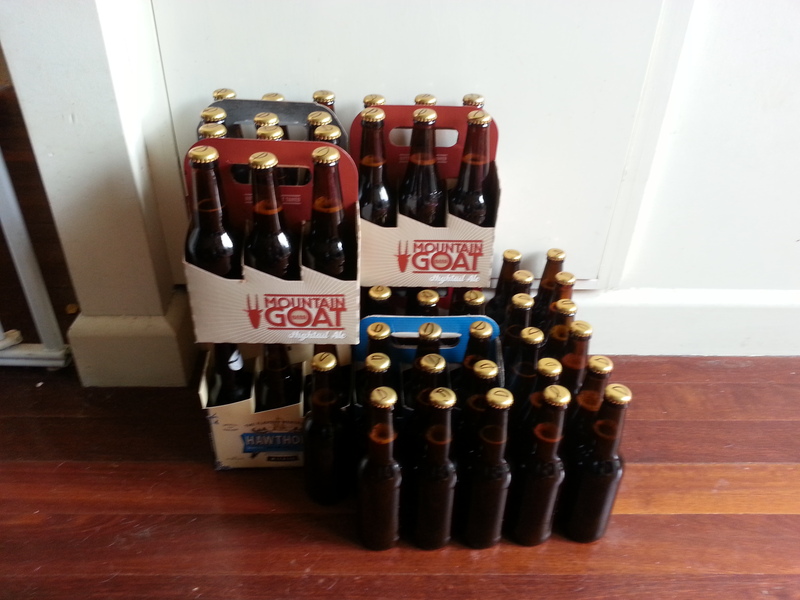 After bottling, we also brewed up a porter, but I’ll do a separate post on that later. In other news, we’ve also created two new sections. The first one is Wildly Inaccurate Facts About Beer. To counter this, we’ve also added a section called Wildly Accurate Facts About Beer. The topics of these sections are pretty self explanatory.